So often we read about people who overcame tragedy or illness to create amazing foundations or programs in hopes of bringing about positive change and helping others. Why do some of us thrive in the face of adversary and some thrive is a question for another article. This is about a person who thrived in spite of the odds stacked against her. Jasmine Grey may seem like the kind of person who should be waited on and cared for, but instead she is actively involved in making sure that others are shown compassion and helped through hard times. She is the founder of Jaz’s Jammies which provides free pajamas to children in hospitals and shelters. She was inspired to do this after he own experiences of extended hospital stays. She is a survivor of AVM which starts in puberty, causing deformations and death. Instead of accepting a life of illness she is trying to find a cure by creating a documentary called More Than Skin Deep. In it she visits doctors, families and AVM patients. She is telling their stories in the hopes of raising enough awareness that funding and a cure are found. It may not be likely that a cure is found for her, but she is working hard to give those who come after her a chance at a cure and the rest of us a chance to learn. What was your inspiration or what necessitated you to begin this adventure? 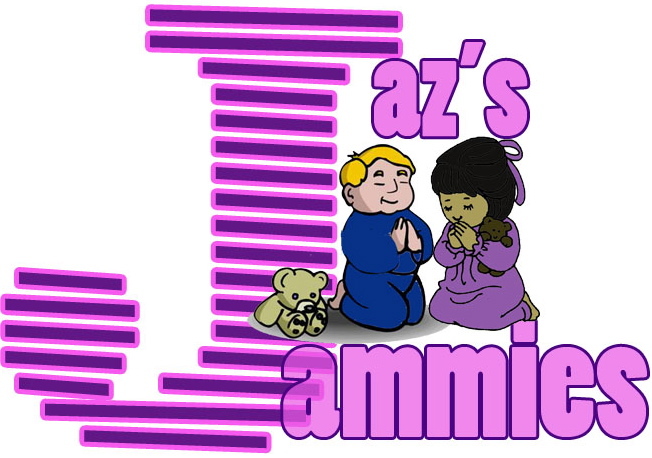 I was inspired to start Jaz’s Jammies Inc. after spending months in the hospital battling a rare birth defect called Arteriovenous Malformation. I continued to be as active as I could in Girl Scouts throughout the years, and when it was time to do our senior community service project, I decided to address the need for more comfort for those staying extended periods of time in the hospital. More Than Skin Deep was inspired by my specialist James Suen at the University of Arkansas for Medical Sciences telling me that at 71-years-old he was determined to find a cure for Arteriovenous Malformation (AVM) and then retire. He was building a super team of doctors and scientist for the task. I felt the world needed to know about their efforts and about the patients surviving and thriving with AVM. I decided to put the M.A. in TV/Film that I had recently earned from Syracuse University to a good cause, and document it all. What steps did you take to create your program? To create Jaz Jammies Inc., I first completed a pajama drive as a Girl Scout Gold Award project, and we collected over 850 pairs of pajamas. Then, I decided to continue the drive by partnering with the school I was attending for undergrad, Middle Tennessee State University. The school’s Office of Leadership and Development allowed me to have collection boxes in various buildings and also paid for flyers. I also developed relationships with campus groups who collected pajamas on behalf of our organization. Then, while at Syracuse, I submitted the necessary paperwork to become a 501c3. For More Than Skin Deep, I created an fundraiser with the intention of raising $5,000 toward the documentary. With the help of Indiegogo and other personal/organizational contributions, we were able to raise $10,000. This money has gone toward purchasing a camera and filming of short films featuring AVM survivors. Then, these films will be used to garner awareness and secure a partner to fund the full-length documentary. What obstacles were you forced to overcome? With Jaz’s Jammies, one obstacle was making sure that communities and people on campus were aware that the drive was going on so that we would have enough people collecting pajamas. With More Than Skin Deep, one obstacle was finding the funding to move forward with production. We have at least been able to gather enough resources to start the process. What were the hardest problems to solve or actions to take? The hardest problem to solve with Jaz’s Jammies is maintaining the same level of pajama collection each year. Because my family and I have the majority of the responsibility with the small size of Jaz’s Jammies at this point, it can be hard to complete all the work necessary to keep the pajamas rolling in. It is a matter of people knowing about the organization and taking the time to collect. With More Than Skin Deep, the hardest problems revolve around being able to follow the most compelling AVM survivors and getting a network or other partner to get involved with providing the funding needed to complete the film. Production cost can mount with travel and other expenses. Even though technology has made filming cheaper, it still costs travel to different locations, have the necessary equipment and complete the post production necessary to create a high quality film project. What must you do to stay operational? With Jaz’s Jammies, now that we have a solid foundation, we need to create partnerships with other organizations that have access to people who could create pajama drives on behalf of the organization. We also need to develop a strong board that can provide the knowledge and resources needed to expand the organizational infrastructure of the organization. More Than Skin Deep has to continue filming with AVM patients, continue to build buzz around the films progress, and the capitalize with partnerships that yield access to funding and distribution sources. Who, if anyone, helped you succeed? My faith and dependence on God have allowed me the emotional and spiritual foundation I’ve needed to overcome my personal obstacles and the opportunities needed to further my goals. My family – parents, sister, extended family – and loved ones have been instrumental in giving me the support and encouragement needed along the way. Do you have any advice for readers who want to get involved or start a similar program? The best advice I can give you is look at the obstacles you have survived in your life and ask yourself, “how can I use all of these things to make a positive impact in someones life?” “What lessons have I learned and how can I find creative ways to pass those lessons on to those around me?” Make sure you have a strong spiritual foundation and a few people you can trust because this will carry you through the challenges you will face as you begin your journey to starting your own program. Previous postWhat is Your Story? Jasmine was recently featured in a memphis paper, The Commercial Appeal. This article gives you a better look at the challenges she faces and how strong she really is.